Government cannot remove natural consequences from society and expect responsible results. I was recently reminded of the importance of natural consequences and how they teach wisdom and responsibility. With three children of driving age, our family owns the obligatory beater car. You know - the one with 175k miles on it, as well as some rust and those dings and dents from lessons learned. I don’t drive that car. The kids do. They are responsible for the insurance, gas and things like oil changes. I have warned them about getting the oil changed and watching the oil gauge. It’s old, so oil tends to run low between changes.The other day, it died. Unfortunately, the oil gauge had been screaming at them. They had discussed it between themselves but left dad out of the loop. It was way past its oil change date. 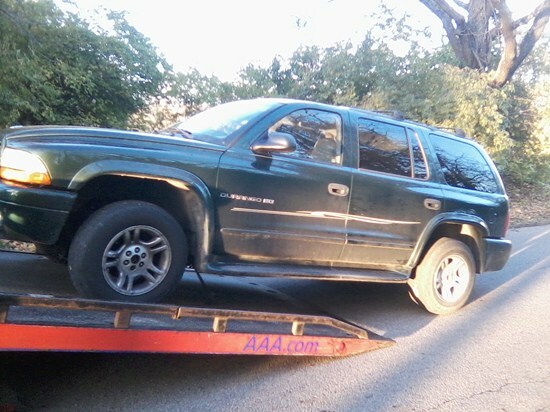 In an instant, it went from an old reliable car… to the salvage yard. They all feel terrible about it. They now understand that when dad rants about something, it is usually important. But yesterday I was encouraged about the valuable lesson learned. Two of our kids drove “mom’s car” to run errands. Both called me between trips to inform me that the “oil change sticker” on the windshield indicated that it was 10 to 15 miles over the “need to change” number. BOTTOM LINE: Seeing the old beater car loaded onto a car hauler headed for the scrap yard was an incredible lesson. It turned dad’s constant warnings into reality. The missing car in the driveway reminds them that actions have consequences. We are missing that in society today. When government constantly comes in to rescue us when we ignore life’s warnings about making responsible choices… it shortchanges us on the wisdom gained from lessons learned. We need the natural consequences in order to grow as a society. We need to live with the consequences of making unwise choices so we can become better citizens. We need to remember that every time we fall down… it is also a lesson in getting up.